For safety and mobility when using the toilet, shop our range of disabled toilet seats which can aid you if you find it difficult sitting down and standing up again. These seats offer reassurance and comfort so you can retain your dignity and confidence whilst carrying out essential everyday tasks. 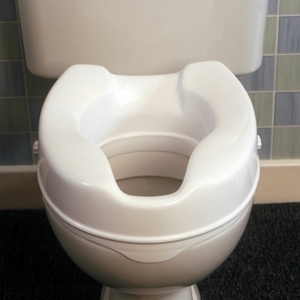 They work by making your conventional toilet seat sit higher, so you have a shorter distance to both sit down and stand up again, relieving pain on your legs and back. 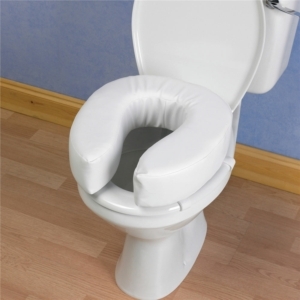 Millercare’s range of raised toilet seats covers everything you could possibly need. From the affordable designs that are easy to install, padded designs that offer even more comfort, through to the more heavy duty, designs with fixed arm supports. Shop our range below and click on the images for more information and pictures so you can make a detailed choice of the design that’s right for you. 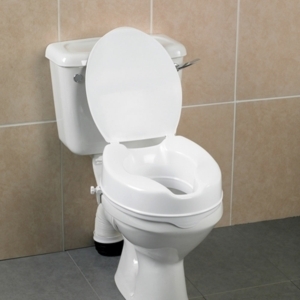 Millercare offers a range of disabled toilet seats that are both comprehensive and cost effective. With prices starting as little as £16.90 (excluding VAT) there’s a design for everyone. Those who could benefit from one of these handy tools are those who find it difficult to sit down or stand up on typically low toilet seats, as these seats simply make the toilet higher. They’re ideal for the elderly and disabled. Padded raised seats are also available, these helps to relieve some of the pressure of sitting. Some of the raised toilet seats on offer at Millercare are portable, meaning they can be moved from one toilet to another. Ideal for those who are regularly on the move but need a little assistance. 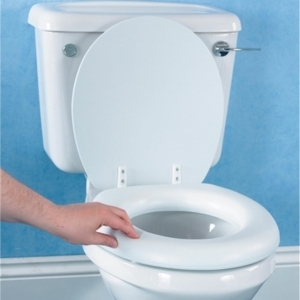 A selection of the disabled toilet seats on offer from Millercare is designed for strength and durability. They’re gently contoured for extra comfort and extremely lightweight too. Some of the seats slope downwards slightly from the back to the front, allowing the user easier lowering and raising. The deep splash guard minimises soiling and they’re resistant to stains and odours. A standout product is that designed with Comfyfoam, which is extremely soft and comfortable. 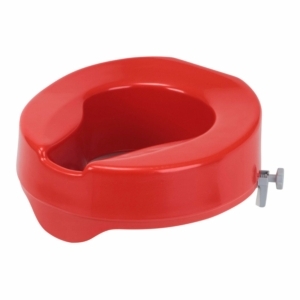 It’s easy to fit and requires no screw fixings, but push fits securely over most standard toilet bowls. The Enterprise design has integrally moulded armrests, offering, even more, stability and security for the user. 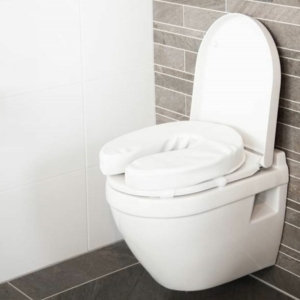 The unique installation of this product also allows the seat to be used without the need of the original toilet seat being removed. 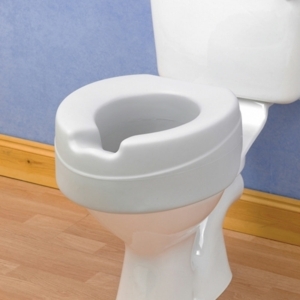 The Cloo toilet seat can also be adjusted for different seat heights of 60, 100 or 140mm. It’s designed ergonomically and the detachable armrests offer a relaxing support. 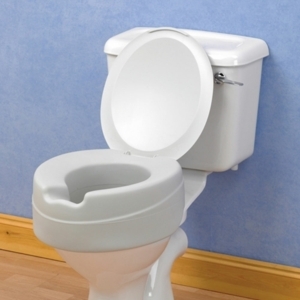 Easier personal hygiene is achievable with the Hi-Loo, that has both a recess at the front and rear of the seat. It also comes in a choice of two fixed height models or an angled version that’s designed for people with impaired hip or knee mobility, making it easier for them to rise from. 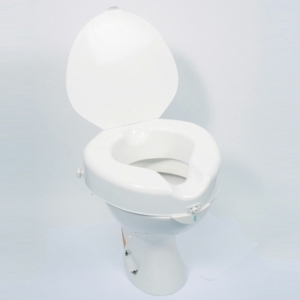 The Elevated toilet seat with removable arms is constructed from heavy-duty moulded plastic, making it one of the most durable and strenuous designs. The armrests are designed with foam padding for extra comfort and thanks to an improved locking device it has an excellent safe and secure fit. For those who find it difficult or painful to bend, sit down or stand up, an everyday routine like using the toilet can become disrupted and daunting. But thanks to this line of raised toilet seats you can make all the difference, offering someone a little more freedom and independence. Shop the range now.